You may register for any of the seven Garden Summer Camp programs by selecting the appropriate registration button below. Garden members save on all kinds of classes and programs, including Summer Camp - learn more the benefits of becoming a member. 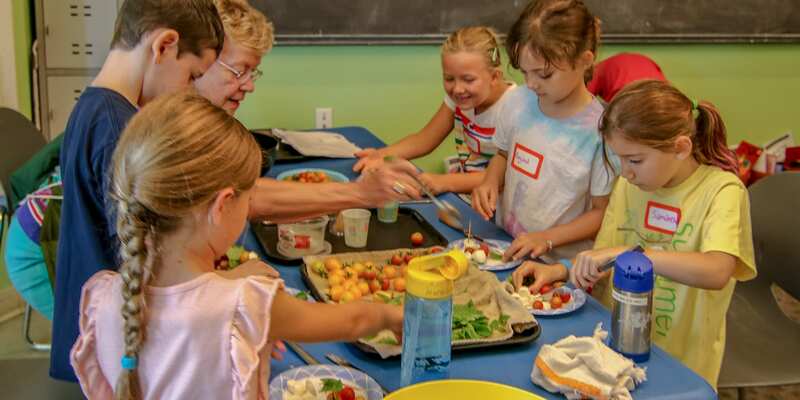 Due to the popularity of the Garden's Summer Camp, these programs tend to sell out quickly. If a particular program you are interested in is sold out, you may add your contact information to the Summer Camp Waiting List below and thus be notified whenever an opening for your desired program is available. LUNCH: Campers bring a sack lunch. Seed to Snack (July 15 -19) is SOLD OUT. Seats are still available for Seed to Snack (July 22 – 26). LUNCH: Session fee includes lunch.